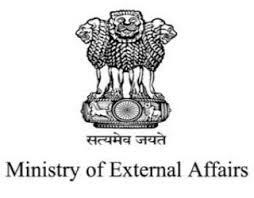 Ministry of External Affairs Jobs Recruitment Notification 2018.Ministry of External Affairs, Central Passport Organization inviting applications for the positions of Deputy Passport officer jobs in Bangalore, Bhopal, Chandigarh, Delhi, Guwahati, Jalandhar, Panaji and Pune passport offices.Interested and Eligible candidates can apply for the positions. Last Date for Submission of Application is on october 24th, 2018..
Total number of posts to be filled in MEA is 08 for Deputy Passport Officers. Office wise vacancy details are given below. Candidates those who are bachelor degree holders with 7 years experience can apply for Dy. Passport officer post. Maximum age for applicants is 56 years. Age relaxation for reserved candidates is as per norms. Mode of applying for MEA recruitment is through from offline. 24th October 2018 is the last date to apply. https://www.mea.gov.in/ is the link to download and send to respective passport office.